Two local distance runners will run for the U.S. team at the IAAF World U20 Championships in Bydgoszcz, Poland July 19-24. Diego Zarate, a Northwest High School alumnus now running at Virginia Tech, won the 1,500 meters at the U.S. junior championships in 3:47.53 over Kentucky’s Mohammed Kendall’s 3:48. Zarate has run 3:44.50 for the 1,500 meters. Georgetown’s Spencer Brown was fifth in 3:52.69. Kate Murphy, who is headed into her senior year at Lake Braddock, won the 3,000 meters over Katie Rainsberger, 9:10.51 to 9:11.60. Patriot rising senior Rachel McArthur is the alternate for the 1,500 meters after finishing third in 4:25.66. Chantilly’s rising senior Brandon McGorty was fifth in the 800 meters, running 1:49.21. 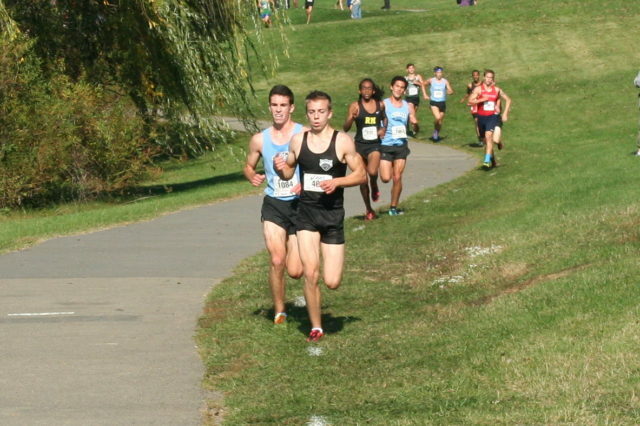 Kevin Monogue, who finished his freshman season at the University of Pennsylvania after running at Lake Braddock, was fifth in the 10,000 meters in 31:05.59.